Wholesale Men's Clothing Liquidation, Men's Clothing salvage Closeouts, surplus Men's Clothing Overstock, Men's Clothing clearance merchandise. 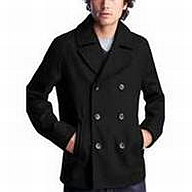 Wholesale Distributor of Closeout and Liquidation Brand Name Men's Clothing Items! 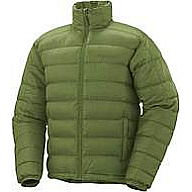 Men's wholesale clothing closeout lots, bulk pallets of store returns and liquidation clothes. We stock items such as designer men's clothes, Suits, Pants, Shirts, casual man clothes, dress clothes, summer clothes, discount clothes and much more! Brand names such as Ralph Lauren, Tommy Hilfiger, Levi's, Nautica, Calvin Klein, Alfani, Club Room, Dockers, American Rag, Quicksilver, and many more! Click here to request more information on wholesale men's clothing by the pallet, piece or truckload. All at below wholesale prices! CK and DKNY Men's Short Sleeved T-shirts: All new. Huge selection of men's short-sleeved T-shirts. Includes a nice variety of sizes, styles, and colors. Minimum order 1000 pieces. FOB Florida. Please contact us for more details. Puma/ Armani Exchange A/X Assorted Men's T-Shirts: All new with tags. Includes a nice variety of sizes, styles, colors, and patterns. Minimum order is 300 pieces. Call for exclusive pricing. FOB Florida. Men's G-Unit Tank Tops: All New with Tags. These G Unit Tank tops are top quality and hot styles in urban wear. Expect a variety of sizes and many colors. Minimum order of 1,000 Pieces. Your cost is $3.75 each. FOB New York. Club Monaco Assorted Men's Polo Shirts: Huge selection of polo shirts. All new with tags, all in poly bags with retail tags of $49.99 each. Includes a nice variety of sizes, styles, and colors. Minimum order of 1,000 pieces. Your cost is $6.95 each. FOB Florida. Gap, Banana Republic, Old Navy Assorted Men's Clothing: All new with labels and tags. Huge selection of dress shorts, tops, pants, shorts, T-shirts, and much more. Includes a nice variety of sizes, styles, colors and patterns. Brands may include, Gap, Banana Republic, Old Navy, Athleta, and many others. Minimum order is 500 pieces. Your Cost is $6.95 each. FOB Texas. Puma Men's Assorted Clothing: All New Puma brand with labels and tags. Huge selection of tops, gym clothing, shorts, pants, pull-overs, dress shirts, T-Shirts, tank tops, and many more. Includes a nice variety of sizes, styles, colors and patterns. Minimum order is 200 pieces.Your cost is $16 Each. FOB Texas. CK and DKNY Men's Long Sleeve T-shirts: All new. Huge selection of men's long-sleeved T-shirts. Includes a nice variety of sizes, styles, and colors. Minimum order 1000 pieces. FOB Florida. Please contact us for more details. 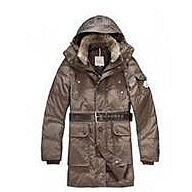 Bon Ton Dept Stores/Carson Pirie Scott Brand Name Men's Clothing/Accessories: Men's clothing and accessories. Designer high End merchandise may contain brand names such as: Calvin Klein, Claiborne, Columbia, Consensus, Dockers, Izod, Kenneth Roberts, platinum, Lyle & Scott, Nautica, paradise Collection, Perry Ellis, Savane, Tommy Bahama, Anne Klein, Alfred Dunner, Lucky Brand, Al Anne Klein, Hobo International, Calvin Klein, Fossil, Dooney & Bourke, Kathy Van, Nine West, Guess, Jessica Simpson, perlina, Brahmin, Relativity, Calvin Klein, Chaus, Chilli Pepper, Columbia, DKNYC, DKNY Jeans, Izod, JH Collectibles, Jones New York, Signature, Sport, Karen Kane, Kensie, Laura Ashley, Liz Claiborne, Nine West, NY Collection, Rafaella, Lucky Brand and more. Minimum order is 500 pieces. Your cost is as low as $6.95 per piece. FOB Florida. Aeropostale Assorted Men's T-Shirts: All new with tags. Huge selection of tops, shirts, and T-Shirts. Includes a nice variety of sizes, styles, colors, and patterns. Minimum order 500 pieces. Super deal. FOB Florida. Rock House - Assorted Men's T-shirts: All new with tags. Huge selection of men's T-shirts. Includes a nice variety of sizes, styles, and colors. Rock House t-shirts have 14 different designs. Retail tags for $39.95-$49.95. Minimum order is 500 Pieces. Your Cost is $4.95 each. FOB Florida. All New 1st-quality Men's 2-Piece Suits: We have great deals on wholesale suits. These men's suits are top quality and are of the latest styles. These suits are brand new on a hanger with a tag and label. You can receive a pre-assorted lot of 100 suits with 6 different colors. Choose from black, navy, charcoal, gray, beige, pin stripe and some others. Huge selection of styles with a range of sizes from 38-48. Retail price of these suits are $150 and up. Your cost is as low as $45 per suit. Minimum order is 100 suits. FOB Florida. Men's Vigo Spirit Jackets: All new with labels and tags. Huge selection of sweaters, jackets and many more. Includes a nice variety of sizes, styles, colors and patterns. Minimum order of 250 pieces. Your cost is $19.50 each. FOB Texas. All New Men's Dress Shirts: Italian Design, Domani brand name. All new 1st quality of Long Sleeves Men's Dress Shirts. Huge selection of colors and sizes. We carry Men's Dress Shirts with a tie and with out. Your cost is $6.95 each without a tie, and $7.95 with a tie. Minimum order is 500 assorted colors and sizes. FOB N.Y. or Florida. Sears Softgoods/Brand Name Men's Clothing/Accessories: A mixture of children's men's and women's clothing. Huge selection of shirts, pants, jackets, tops, denim and more. Sold by the truckload, Lot or by the pallet. Please call for merchandise availability and prices!!! Express -Express - Assorted Men's Dress and Casual Shirts: All new with tags - huge selections of men's dress and casual shirts. Include a nice variety of sizes, styles, and 4 different colors like: purple, navy, blue, and aqua. Retail tags for $49.95 and up. Minimum order is 500 Pieces. Your Cost is $7.50 each. FOB Florida. Men's Heavy Weight T-Shirts: All New with Tags. These t-shirts are high quality heavy weight jersey by Galaxy. Assortment of different colors and styles. Minimum order of 1,000 Pieces. Your cost is $3.75 each. FOB New York.